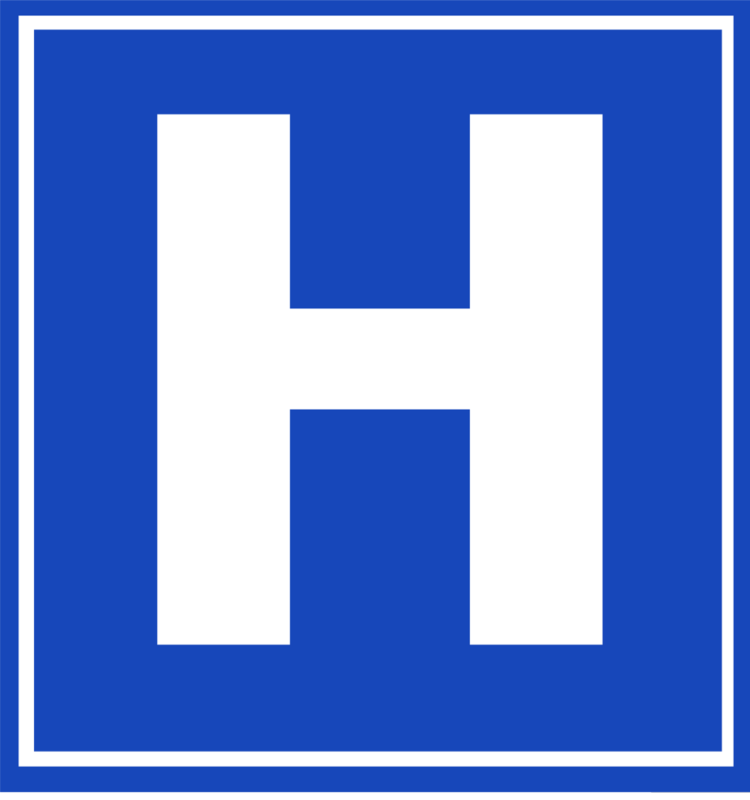 The Hospital is an 85,000 sq-ft ambulatory surgery center with 9 operating rooms. The facility provides a broad range of surgical procedures, handling 30-60 surgical cases per day—over 10,000 surgeries each year. The Materials Management Group within the Hospital is responsible for gathering all of the surgical supplies for each case using paper-based pick list forms generated from their Meditech Health Information System. The team handles the stock transfers to the operating rooms and later returns unused supplies to the stockroom. They are also responsible for the Supply Replenishment Process which requires a staff member to go to each inventory location in the facility and determine what deficiencies there are in each supply bin for that location. This information was hand-keyed into Meditech by location and a paper re-stocking pick list was generated by the system for fulfillment. The manual tracking of supplies usage was a time-consuming process which included: entering information into Meditech about each of the items pulled, returning unused supplies to stock, re-populating the stock inventory, and later recording the actual items used for each case in Meditech. The forms applications tap into the Hospital’s wireless network and interchange data directly with the existing Meditech system. 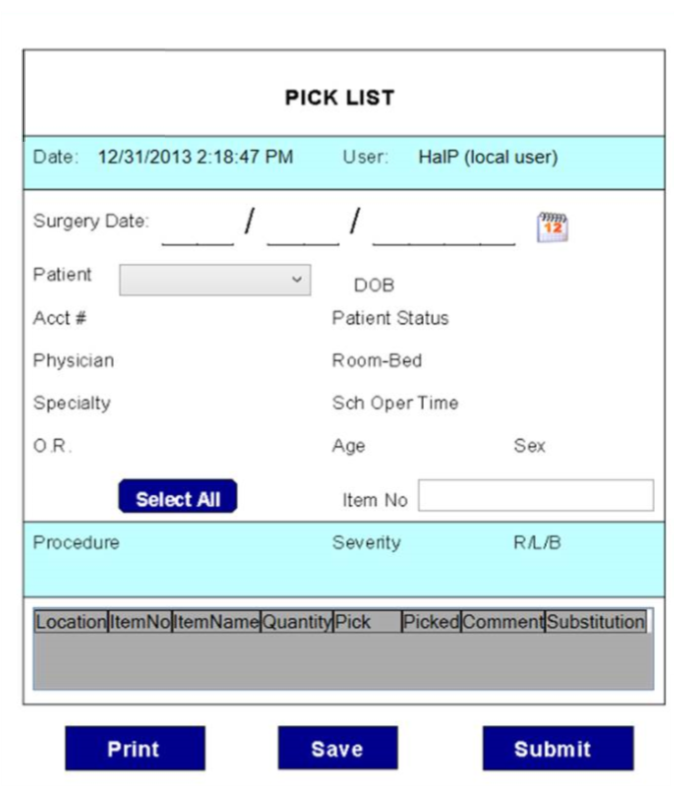 Pick List Form – The Pick List form is populated using Meditech system data detailing the supplies required for that day’s procedures being performed in one of the nine OR’s. As a staff member pulls the items to load the Casecart, they scan the barcode of each with the portable reader attached to the ToughPad and then enter the quantity pulled. When all items are pulled, they simply press “Submit” on the form and the information is uploaded to Meditech. Re-Stocking and Stock Transfer Form – The same form is used for both re-stocking unused supplies back to the stockroom and for transferring supplies throughout the day to/from the Casecart and OR’s. As each item’s barcode is scanned, the form is populated with key information about the item, and the staff member denotes the quantity, source and destination of the item(s). When they press “Submit”, the information is transmitted directly to Meditech. Supply Replenishment Forms – Two forms make up this process: an inventory reporting form and an inventory re-stocking form. The inventory reporting form allows a staff member to go to the various inventory locations and itemize the supplies (based on a barcode on the bin) that need replenishing for that specific location. This information is submitted to Meditech, which then generates an inventory re-stocking form that is presented electronically via the ToughPad rather than on paper as in the past. This re-stocking form serves as the pick list for new items to be gathered and provided to the supply locations around the Hospital. The Hospital realized significant time savings from the elimination of manual data entry. The overall process was streamlined by getting information into Meditech immediately, allowing inventory deficits to be identified sooner and items re-stocked more quickly.